The Art of Photography Exhibition was a really great chance to see the work of many talented photographers. 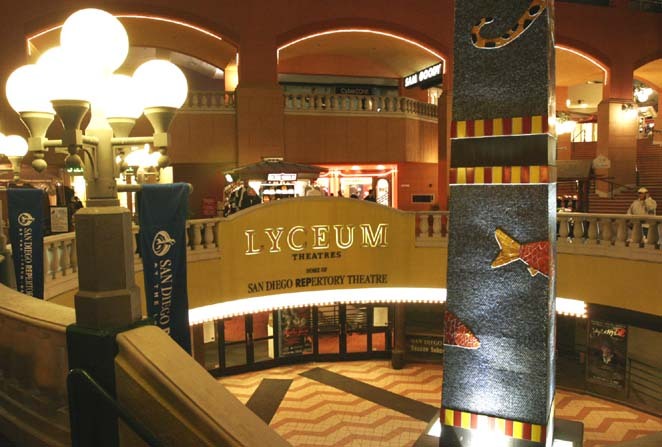 I had been outside the Lyceum Theater many times but had never been inside. It was a really nice museum and I was surprised at the amount of photos were. What I liked most about the visit was finding out that anyone could enter the contest they held for best picture. The entry fee was really small, and the grand prize was two thousand dollars. It was very interesting to see such diverse work from many different artists in one gallery. I have always liked landscape photography, and there was plenty of them there. But my favorite images at the gallery weren’t landscape though. My favorite images from that night were very different. The first was called “Ramon and Toto at Home. Chino, Barcelona 1996,” by Jukka Male. It was a black and white photo featuring a man playing with his pet dog and cat. The second image was called “Seventy Flights in Ninety Minutes,” by Byron Darby. This was a incredible picture of about 20 or more airplanes in extremely crowded skies all headed for an airport. The visit to the Lyceum was great and I’m sure I’ll be back soon. This entry was posted on November 2, 2010 by donovanolson. It was filed under My Photography .